From a tourist’s perspective, London is all about the big attractions like Buckingham Palace and the Tower of London. But once you have lived there for any amount of time or visited these attractions before, the city starts to look different. 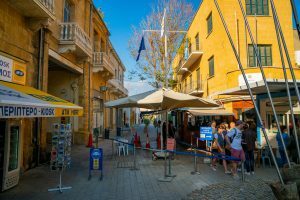 In the long term, you tend to decide more on everyday spots like places to eat, take a walk and for entertainment and fun. 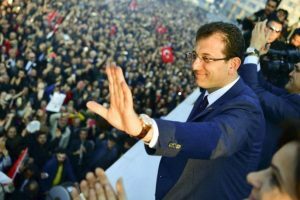 London is well-known for its nightlife, and there well and truly is something for everyone, including the Turkish community, from restaurants to events like New Year’s parties. London also has over 20 casinos, though only a handful of them are worth mentioning when it comes to poker, with regular schedules and plenty of players. Speaking of poker: As you probably already know, poker is a more complex game than typical casino games like roulette and slots, and so, it’s crucial to learn the basics before you start to play. Knowing the rules helps you to stay with the flow of the live action while strategy such as knowing how to shove all-in enables you to gain an edge over your opponents. That said, you don’t need to be an expert to play poker at a casino, and many players are not. In many cases, you can turn up and play, though some establishments require a simple sign-up process upon entry. Here are the biggest and best for poker across the city. Located in Leicester Square, in the heart of London’s theatre district, the Hippodrome is in a stunning historical building that used to be a theatre. It is now a casino with three floors of gaming, bars, restaurants and even a cabaret stage. Due to its location, the Hippodrome pulls in a lot of tourist traffic, but there are games here for everyone. 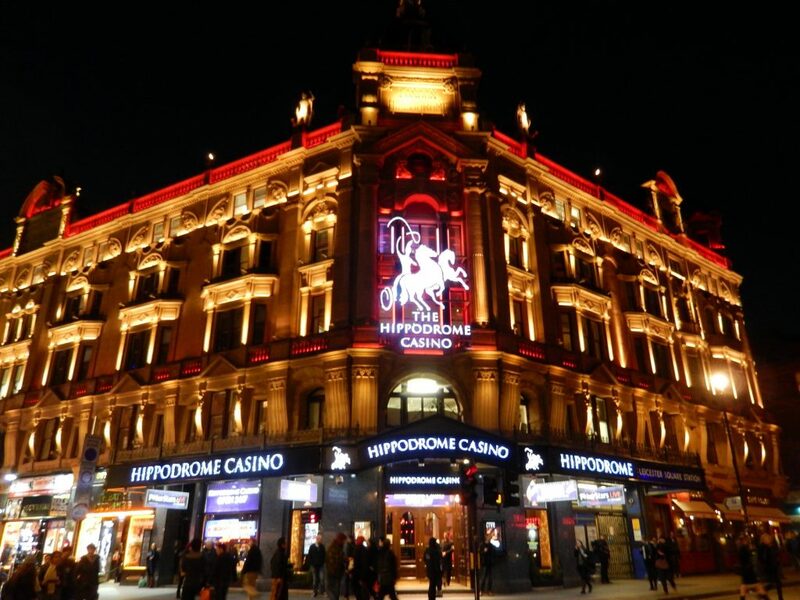 Still, if you want high stakes, the Hippodrome delivers, with Hold ‘em and Omaha cash games running to mid-stakes at £10/£25 and even nosebleed stakes like £50/£100. Also, in Leicester Square and the Hippodrome rival is the Empire Casino, once host to the World Series of Poker (WSOP), one of the largest poker series in the world. The Empire is also in quite an impressive building, the former ballroom of the Empire Theatre, but here, you will find softer and lower-stakes poker games. There is a dedicated poker room with a bar and HD screens for sports. The Empire is known for being plush, with reclining leather chairs to relax on after a hard night’s gaming as well as electronic card shufflers and mobile phone chargers built into the poker tables. Cash game stakes start at £1/£1 and a £25 buy-in while the lowest-stakes tournaments start at £28, with regular bigger buy-ins of £100 or more. Close to the Edgware Road tube station and the Marble Arch, the Grosvenor “Vic” is a favorite among locals and always a welcoming and well-run establishment highly praised for the staff and management. There is also shisha available in the evenings and Arabic food on the menu, though it requires a real adventurous palette. The dedicated poker room, however, is the stuff of legends, with 36 poker tables and a handful of other games for straddling around in between games, from slot machines to blackjack tables. This place has hosted huge events, such as the Grosvenor UK Poker Tour (GUKPT) and European Poker Tour (EPT), so watch out for the major tournaments. In the meantime, cash games start at £1/£1, yet there’s every chance you’ll bump into regular London pros in one of the higher-stakes tables or daily tournaments. Aspers Casino (pictured above) is on the third floor of Westfield Stratford, a large & popular shopping mall in East London. It’s not the most idyllic location, but it is an excellent casino for casual gamers. Aspers in Stratford City, close to the underground stop, is now officially the biggest casino in the U.K. It is part of the relatively new Westfield London shopping centre development, and you can find the casino located on the third floor. The Aspers has a hip and casual vibe. It’s not the classiest of casinos, but that’s a draw for the gamer who isn’t too bothered about dressing up for a big night out. You’ll find the poker tables are at the far end of the casino in the poker room. There are 36 tables, enough for the daily poker tournaments that run from 2 p.m. and 8 p.m. and larger monthly events with huge guarantees that have reached over £100K in the past. Cash games run at £1/£1 to £2/£5 stakes, so if you want higher stakes, head to the West End. The Genting Casino Cromwell Mint is in the Kensington district, so anyone who knows London can imagine that the casino tries for a more exclusive feel. The doors are still open for casual gamers, but more formal dress wear is necessary to guarantee entry. The casino is much smaller than some of the other mega-casinos on this list, but it still packs a punch. The venue opened in 2010 in conjunction with the Bluff Europe poker magazine, and so, there’s a strong focus on poker, with daily tournaments starting at 7:30 p.m. and buy-ins typically ranging from £40 to £90. That’s it for our list of top places to play poker in London. Of course, as with many of your favourite hangout spots in London, a lot depends on the distance from your home. You probably won’t want to travel halfway across the city if there’s a closer option nearby that provides pretty much the same. Still, each casino does manage to offer something different in the way of poker, whether it be the games and stakes, or the atmosphere and extra features.